At DENTCO, we’re proud to honor the hard working Contractor Partners that go above and beyond. These outstanding and dependable teams have shown a true commitment to improving our industry and better serving our customers. Aroundtuitservices LLC has proved to be an exceptional contractor partner in the Beaumont-Orange, TX area. They immediately began working with eight sites after being introduced into the industry. They work in the best interest of the customer, exceeding their needs as well as their expectations. with their customers, and second, it is essential for management to take care of their employees. Gone Green Landscape Designs Inc. Founded in 2008 by Jerry Park, the company originated as a landscape design venture. In 2012 the company partnered with DENTCO, focusing on the importance of commercial landscape maintenance. Growing in numbers each year, they look forward to the future with confidence and anticipation. JB Lawn Service has been serving the lawn care needs in Jackson, Mississippi since 2001. JB Lawn currently maintains 10 properties for DENTCO. They take pride in the work they perform for DENTCO and other customers. They are quick to reach out to DENTCO when they notice a potential issue or improvement that could be made. Johns Landscaping & Snow Removal, Inc.
Johns Landscaping & Snow Removal, Inc. has been in business for 35 years. In addition, John’s has been a DENTCO contractor partner for almost 10 years. 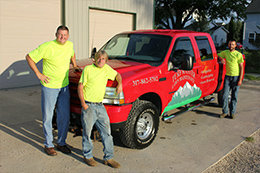 Their business does all aspects of hardscaping, lawn care, and snow removal. 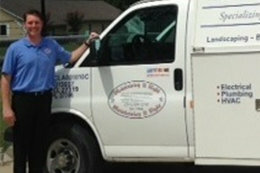 They are a full-service property maintenance company with competitive rates. KJ Lawn Maintenance LLC was founded with one goal in mind – to provide a full range superior landscaping services, including lawn maintenance, sprinklers and spraying, at affordable rates. They are dedicated to building long-term relationships with their clients. Lonestar Landscaping is a company specializing in landscape design and installation with an emphasis on native and low maintenance options, general maintenance, design consultation and irrigation installation. Their passion is helping clients discover how they most want to beautify their landscape. Mid-South Lawn Service started in the 2000, in West Monroe, Louisiana. They started working with DENTCO in 2009 and have been an exceptional partner since providing service in north central Louisiana. Founded in 1999, MJC Landscaping, is a family business, originating in Pittsburgh, Pennsylvania. MJC has been working with DENTCO since 2009. Currently servicing five sites, their company specializes in quality maintenance, snow plowing, and salting. Natures Accents Landscape Services, Inc.
Nature’s Accents has partnered with Dentco to maintain commercial residences throughout the Berks and Schuylkill County region of Pennsylvania, specializing in creative design of both commercial and residential landscapes and providing a range of year-round maintenance services and extensive hardscape installations to countless outdoor projects. Based in Sterling Heights, Michigan, New Roots Landscape, Inc., has been providing landscaping services for DENTCO since 2007. 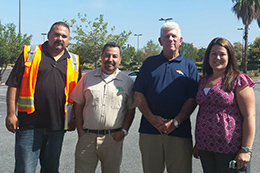 Providing service year-round, Tony and his crew work to guarantee customer satisfaction. Sunshine Landscaping & Home Maintenance are a fully insured, full service commercial and residential landscape design, landscaping, property maintenance and snow removal company. Ticer Lawn & Landscaping Services has worked with DENTCO since 2006, servicing the entire Dallas, Fort Worth market, and are able to do a wide variety of landscaping and irrigation services. T.J.S Enterprises is a full service landscape company, and has partnered with DENTCO for 13 years. T.J.S Enterprises have excellent communication skills and produce quality results by thoroughly listening to the needs of their customers. World Champs Landscape Services, first partnered with DENTCO in 2005. Through DENTCO’s use of advanced technology processing, professional office staff and QAM accessibility, enabled World Champs to grow and stay a step ahead of the competition. Clapp Mowing and Landscaping Services, takes a proactive approach to managing their DENTCO sites by reaching out to their Quality Service Manager ahead of time. They were even able to step in and help a fellow DENTCO contractor this past season when an equipment breakdown prevented them from being able to service some locations. CMT is headquartered out of Vadnais Heights, MN. They are wonderful contractors with great customer service, great communication and adaptability. Sometimes CPs fail, that is when the great CPs rise to the top. 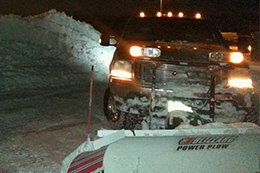 With record snowfall in Minnesota it was CPs like CMT who made it possible to get all of our customers serviced. Don’s Lawn and Landscaping, is focused on the idea of exceeding customer expectations. They have a strong crew of outstanding people who function together like a family unit. What started as a one man business in 1993 has grown into a full service company that prides itself on offering the highest level of quality to their customers. 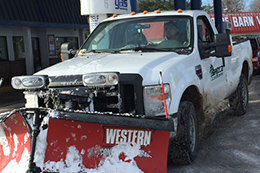 Elite Landscaping is a landscaping and snow contractor from Westland, MI and has been maintaining properties and moving snow for DENTCO since 2001. Elite uses an organized and professional approach to their business, always coming through and never disappointing. The Grounds Crew LLC was established in 2003 and specializes in commercial and residential maintenance. They offer complete snow services, landscaping services, fertilizer and hardscaping as well. They are going on their 7th year partnering with DENTCO. They were chosen as a Snow CP of the Year because they take great care of their sites. Nick’s Landscaping has been in the landscaping business since 1999. Nick, the founder, is personally on every job site to ensure everything is completed on time and to specifications. He always has a great attitude and is constantly asking for more work. Oakleaf Lawn and Garden Services is a family owned company in the Philadelphia area. Oakleaf began a partnership with DENTCO in 2011, today Oakleaf currently services 6 landscaping sites and handled 6 sites for us this past winter. Like many DENTCO partners, they pride themselves on excellent service and timely handling of paperwork. their main focus being winter. Services include, but are not limited to snow plowing, removal and related lawn maintenance, lot surface maintenance, mulching, plantings, and more! RJS Lawn Services Inc. specializes in customer relations, landscaping and snow plow services. They started working with DENTCO in 2009. RJS’s true satisfaction comes from seeing the look on a customer’s face when a project is complete. Their integrity and energizing personalities are a true testament to their success. Task Force Power Washing & Snow Removal, otherwise known as just “Task Force”, is a small owner operated company located in Richmond, VA. Attention to detail, communication, willingness to help, and going the extra mile is why they were chosen as a Snow CP of the Year! 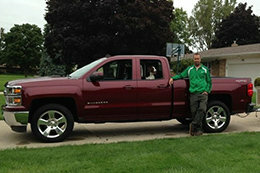 Whitetail Landscapes is a family owned and operated company servicing the Northwest Suburbs of Chicago. The team at Whitetail Landscapes have had a great relationship with DENTCO over the past 4 years and look forward to continuing to expand their business and partnership with DENTCO. WJA Landscaping, LLC has been a contractor partner since 2007. With an emphasis on excellent communication and customer service, WJA has always been a great partner for us. They do a fantastic job on every site and are very reliable. We know that we can always count on them if there is a problem. 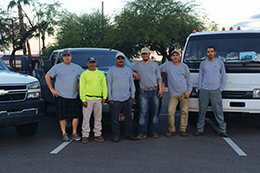 Hard Rock Landscaping has recently joined the Dentco family this landscaping season. The twin brothers at the head of the company, Justin and Jules Neal, are redefining what being a great contractor partner means. They are not only providing a great quality service, but their proactivity and communication skills are off the chart. When it comes to customer care, they are taking it to the next level, building sound professional relationships with the managers and making sure that all their needs are satisfied before they leave the sites. Hard Rock Landscaping currently cover the South-East area of New Mexico, drawing a diamond shape with the corners in Alamogordo, Roswell, Carlsbad, and Hobbs, and they are willing to keep growing with Dentco. No site is too big or too small for this company. They provide the best possible service and VIP care to every individual customer. If I had to pick three words to describe this company, they will be Communication, Proactivity, and Professionalism. Founded in 1993 by Don Fauth, Don’s Lawn and Landscaping is backed with over 20 years of industry experience. Don’s Lawn and Landscaping provides top-notch Commercial, Industrial and Residential Lawn care, Landscaping, Tuff and Snow Removal Services along with great customer support – a combination that can’t be beat! Through our commitment, experience, and expertise Don’s Lawn and Landscaping has established a business relationship with our customers that will last a lifetime! Nominated by Josh Edmondson. Formally known as Hibbard Lawn Care, the company decided to change their name in 2011 to Grounds Elite,LLC. The vision of Grounds Elite was to show the wide range of services they provide and create a new market other than primarily residential. Grounds Elite has ventured into building a successful portfolio in the commercial landscaping industry, they currently have 20 employees and have been working with Dentco for 2 years. Focusing on providing the highest quality service to their customers, Grounds Elite is learning and growing more each and every day and would like to thank their entire team that has made Grounds Elite what it is today! Chilton’s Lawn and Maintenance LLC has been a Contractor Partner of Dentco’s since 2011. They service the greater Lexington, KY area, and are able to do a wide variety of landscaping, sweeping, and irrigation services. They are a great Contractor Partner who consistently has their sites meeting Dentco’s and our customer’s expectations. They even have been willing to take on some properties that are a little out of their service area to help us out until we can locate more local Contract Partner for the site. Chilton’s is always quick to get us a response when our customer or customer service team has questions regarding the properties the service for us. Brandon Pinnow’s CP of the Year is Ticer Lawn & Landscaping Services. They are a long time Contractor Partner of Dentco’s, having worked with us since 2006. They service the entire Dallas, Ft. Worth market, and are able to do a wide variety of landscaping and irrigation services. They are a great Contractor Partner of ours, and continue to excel in all areas. Every year, as their company grows, their service levels continue to exceed customer expectations. Over the past few years, they have visited us in the office a couple of times now, and we always enjoy when they come up to Michigan to spend a day in the office going over new features. Their willingness to give us feedback on our processes have been a great help to us when rolling out new features such as the Dentco App and Portal. I would like to thank Bill, Carole, and the entire company, for the great service that they provide day in and day out. I look forward too many more years of partnership with the Ticer’s! Mel Zemer’s CP of the Year is MCDM Landscape, a full-service landscape maintenance, design and installation company that has been servicing the Las Vegas community since 1996. The company was acquired by current ownership in 2005 and underwent an overall re-branding effort that was more in tune with the overall strategic goals and company ideals that the new ownership brought with them from other successful endeavors. Since 2005 we have grown our company to over sixty employees servicing four western states with over 250 commercial clients. The majority of MCDM Landscape’s growth over the years has been predicated on a grass roots effort to understand our customer’s needs and develop plans that allow them the ability to meet their goals and exceed expectations. We have always approached our customers with an eye on longevity and aggregate results. Success on individual projects will produce short term results but long-term sustainability is a direct result of relationships that have been fostered over the years. MCDM Landscape is constantly striving to bring creative solutions and passion to our landscape projects and we expect to accomplish great results. We have always believed in building a strong and enduring relationships while carefully balancing the customer’s needs versus profitability. Over the years MCDM Landscape has done little in the way of advertisement and we firmly believe that our product is the best reference we can provide our customers. While fancy websites and a strong social media presence can drive business to a company, quality services and professionalism will bring them back. Brian Pogore would like to congratulate Zales Lawn and Landscaping as his 2017 Landscaping CP of the Year. Zales Lawn and Landscaping started up in 1986 as Zales Tree and Landscape and in 2011 they made the change to focus on landscaping maintenance. Zales has worked with Dentco for over 10 years and now services over 20 sites in the Rochester, NY area for us. The company was started by Lary Zale and he has partnered with his son Sam Zale who now runs the operations. Zales has been extremely easy to work with as they are quick to respond to any issue or any need the Quality Assurance, Customer Service or Work Order Department may have. I have received many compliments about Zales and their responsiveness and willingness to work with us from other departments. Sam and Larry have been great partners with Dentco for many years and looks forward to continuing the partnership for many years to come. Tom Stouffer’s CP of the Year is Oscar Solis CEO of Golden Coast Landscape. Oscar Started his Company in 2006 after working in every facet of the industry for over 15 years. Golden Coast Landscape is a full service landscape company in Los Angeles, California and over the years the company has grown to service areas from the Inland Empire South to Orange County. We remain true to our vision of providing high quality service to all our clients big and small. Golden Coast Landscape is a valued member of the California Landscape Contractors Association (CLCA) and currently employs 6 full time employees with over 25 years of experience. The Secret to our success is a profound commitment to our employees and clients. We are a full service company and landscape Specialist that provides lawn care programs, Irrigation needs, Tree trimming, Design, and new Installation. Frank Baur’s CP of the Year is Spencer Lawn Service, owned by Joseph Spencer and based in Marietta, GA. Joe states his mission is to enhance the value of Landscapes through thoughtful and conscientious service. They have succeeded with this mission for over 25 years. Their landscape services include maintenance, installation, pine straw/mulch application, irrigation repair, pruning, and recently they have added pressure washing. Spencer Lawn has worked with Dentco since the 2014 Landscape Season when they started service on a single site. Due to his Joe’s focus on service and drive to grow, his company, he currently services 15 landscaping sites and maintains 6 sweeping contracts. Wendy Geil’s nomination is Long Mountain Lawn Care LLC. Joe Montelongo started his business in December, 2014 servicing the Oklahoma City metro area. Long Mountain Lawn Care LLC was chosen as my landscaping CP of the year because Joe is great with communication, paperwork and always goes above and beyond to service our customers. He has also embraced the use of our app/portal allowing us to get the information to the customer faster. He is a great example of what a Contractor Partner should be. Thank you to Joe and the crew at Long Mountain Lawn Care LLC. We appreciate all that you do. 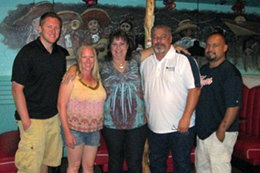 Jennifer Malatinsky’s has chosen Francisco’s Landscaping Service as her CP of the Year. Francisco’s Landscaping Service is run by father & son. Working in four counties in the state of Texas. From Belton Texas, serving Central Texas since 2001. Francisco has proven to be a reliable contractor willing to go the extra mile. Josh Presley nominates Joey Hernandez, president and owner of Green Pros Landscape & Irrigation, as his CP of the Year. Joey started his company in 1986. He is a 1983 graduate of UT San Antonio, TX earning a BBA in Accounting. His passion for landscaping came about while working every summer in high school for a huge local landscaping company. This passion drove him to start his own company, one which has been in business for 30 years. Green Pros Landscape & Irrigation is a full service company servicing multi family, residential as well as commercial properties. Our forte with landscaping also includes tree trimming, with removal and installs as well. With irrigation, we design, install, trouble shoot and service all types of systems. Currently Green Pros Landscape & Irrigation employs 13 full time members, along with 3 floaters. We are members of BBB and Joey is a licensed irrigator and certified irrigation auditor. We have been with DENTCO since 2007 and thoroughly enjoy working with this firm. Joey (57) was recently married to Mari Gutierrez and has a daughter Emily (30) along with a step daughter Merlot (23). Wendy Geil’s choice for CP of the year is Anderson Lawn and Landscape, LLC. located in Lee’s Summit, MO. 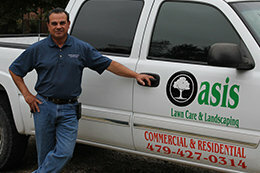 Anderson Lawn & Landscape was established 16 years ago by Chris Anderson. 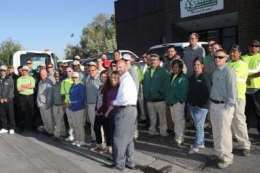 The company performs snow removal, parking lot sweeping, and green care for Kansas and Missouri. They have been a CP with Dentco since 2008. Chris is wonderful to work with. He is always willing to go the “extra mile” for Dentco and the customer. If an emergency situation arises, Wendy knows that she can call Chris and he will find a way to make it happen. He turns in his paperwork regularly and has not had many inquiries this winter, which means that he was on top of taking care of the customer “to spec”. This past winter from start to finish no site was missed! They always put customer’s safety first! This is all possible due to an outstanding team, proper equipment and great communication! 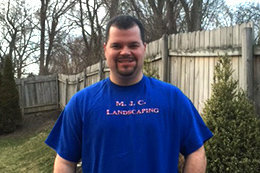 Josh Edmondson chose Don’s Lawn and Landscaping from Red Lion, PA as his CP of the year. Don Fauth, owner, has been in business for 23 years and has always focused on the idea of exceeding customer expectations at every level. They have a strong crew of outstanding people who function together like a family unit. 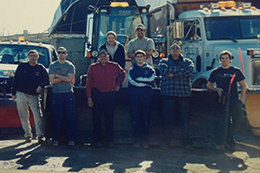 Don says “The ability of everyone to work together as a team definitely has a positive effect on the quality of the work that we provide.” What started as a one man business in 1993 has grown into a full service company that prides itself on offering the highest level of quality to their customers. 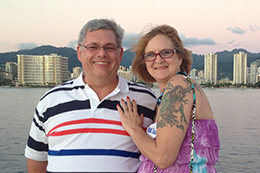 As a business owner, Don’s priorities are focused on maintaining a top of the line company. When he has down time, he enjoys hunting, sports and spending time with his children. Marty Bennett chose J Rush Landscaping LLC as his Snow CP of the year. This is Justin’s second snow season working with Dentco and he is a pleasure to work with. Anytime Marty has called on him he is always very upbeat and positive, very willing to do whatever is needed to take care of the customer. The company was started by Justin Rush in 2006 while in College at Otterbein University. 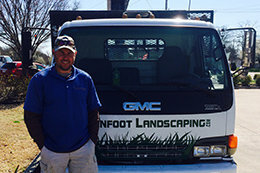 Upon graduation he continued as an owner/operator while teaching until 2013 when he purchased the Grounds Guys of Westerville Franchise and became a full time business owner. Since then they have grown from one truck and trailer to about 15-20 employees during peak season. As a locally owned and operated company, they believe in providing services that exceed customer expectations through exceptional execution. More than that though, they believe in prioritizing the needs of customers, promoting safety, and taking environmental responsibility seriously. We look forward to many years of working with this company. Cru Cutters, LLC located in Florence, KY is Mel Zemer’s choice for Snow CP of the Year. They have grown exponentially since their first few years when owner Chris simply mowed lawns and shoveled driveways for neighbors. As a 12 year old boy he never could have imagined the success ahead of him, for which he is forever grateful. Rather than servicing only neighborhood friends, Cru Cutters is now able to offer services to a much wider client base, both commercial and residential, while continuing to offer the small town service and consideration they are known for. The quality of work provided by Cru Cutters has remained the same as the number of services has continually increased. In the beginning, Cru Cutters’ fleet consisted of Chris’s mom’s minivan. Thirteen years later Cru Cutters boasts 70 pieces of equipment, all of which run during major snow events, exceeding the amount of equipment run by the Kentucky Transportation Cabinet in their district. Cru Cutters continues to grow each year and is eager to see where the 2016 season will take them and is grateful for the opportunity to service Dentco properties. Josh Edmonson’s Snow CP of the Year is O.A. Thomas Landscaping, Inc located in Harrisburg, PA. O.A. Thomas is a first year DENTCO CP. Not only did they do an excellent job on the Locations they were contracted to, but they also went over and above servicing non contracted sites during the historic snow event in January. They always kept the DENTCO team up to date, and in the loop. They were founded in 2004 as a sole-proprietor; incorporated in 2012. Locally owned and operated they serve Dauphin, Cumberland, York, Lebanon, and Perry Counties. Thank you for the outstanding Job. Jerry Cowen Jr., owner of JC Lawn Care & Snow Removal is Trent Limban’s Snow CP of the Year for his Indiana region. 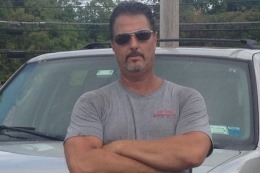 After working commercial snow removal for a friends company Jerry started his own company in 2013. Jerry now has 4 trucks for snow removal and is servicing a variety of customers for us at Dentco. JC Lawn Care & Snow Removal is located in Avon, IN and services all of Indianapolis. Jerry married his wife Jessica in 2015 and has a 14 year old son and 14 year old step-daughter. Here’s how JC Lawn and Snow earned CP of the year! Performance: JC Lawn and Snow didn’t receive a single inquiry all year. This means our customer’s never had to call in for service. Communication: Jerry has never missed a call from me and is always quick to respond to emails. Attitude: Jerry is a very nice guy, with a great work ethic and takes pride in his company and the work he provides. Pro Landscape has been with Dentco for 3 years, and has been in business for 38 years. Their owner, Bill McGee is also very knowledgeable about Dentco and our processes, as he used to be a QSM with our company. I spend literally no time chasing down information, dealing with inquiries, etc. I am often reaching out to him for help to cover another CP who has failed, sending him additional work through WO’s, or asking his opinion about competent CP’s in his area. Bill always goes above the norm to make his sites look amazing. He and his crew take ownership for each location, and understand the thumbprint that it will leave from Dentco. Bill’s attitude has been great. I tend to take the time to communicate well with my CP’s, and I feel that this can eliminate a lot of miscommunication, and misinformation, both of which lead to bad attitudes, and other negative issues. Backyard Lawn & Landscape is Dale Wethy’s choice for Snow CP of the Year. They are a full service outdoor maintenance company serving Fort Wayne, IN and surrounding communities since 2010. The business was founded by brothers Troy & Nick Krinn, whom were both born and raised on their family farm in the area. There they developed their green thumb, experience, and excellent work ethic. With a combined 35 years of experience and expertise they decided to start an outdoor maintenance company providing a positive impact to their community. Shan Youse & Frank Baur, QSMs for MI region, agree that Michael Demski of Deerpath Excavating, Inc. is a notable Snow CP of the Year. Deeparth Excavating has been alongside Dentco since 2001 and started out servicing the Michigan State Police Towers. We can all relate to the importance of servicing this customer to keep access clear for emergency situations. Michael services our Kohls location in Benton Harbor and has serviced both Speedway and National Tire & Battery. He is available at all times, responsive, and understands the Dentco mission. 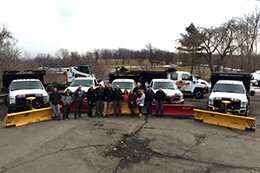 Congratulations to Deerpath Excavating, Inc.
Dale Wethy; QSM for NJ, and Frank Baur; QSM for PA, acknowledge Cabana Enterprises, Inc. as 2016 Snow CP of the Year. Christian Cabana, owner, has been servicing Dentco sites since 2012 and currently services 18 snow sites to a high standard. Cabana Enterprises, Inc also has a sister company that service 6 landscaping and 1 sweeping site for Dentco. Christian is one of the most helpful, dependable contractors to work with; he understands customer service and what it means to be a true contractor partner. We appreciate Christian for his willingness to communicate openly with us to solve problems, and his eye is always focused on service and customer satisfaction. We thank all at Cabana Enterprises for a great year! Wendy Geil’s CP of the year is Total Outdoor Maintenance Services LLC from Yorktown, VA. Wendy chose them because they are always available to go above and beyond for DENTCO. She knows that if she calls John, the job will get done and he will get it done quickly. Their paperwork is always turned in on time and complete. They are very good about getting photos from the sites and calling in all issues they discover on the sites in a timely manner. Total Outdoor Maintenance says “It is our mission to build long term relationships with our customers and clients by providing exceptional customer service with a professional style. Our journey began in July 2015 with one woman, one man, one purpose and a dream of being an exemplary company. It has been an amazing journey and it is hard to believe how fast we have grown in our short time in business. We are truly blessed and our grateful for the opportunity to work with. It has been an amazing journey and it is hard to believe how fast we have grown in our short time in business. We are truly blessed and our grateful for the opportunity to work with DENTCO as a Contract Partner.” Thank you for your service to our customers and congratulations! Dave Shevlin’s pick for Landscaping CP of the year is Uvalde Lawn & Landscape located in Uvalde, TX. They are a family operation. They are native to the farm country of Central MI however, they moved to Uvalde 12 years ago and started Uvalde Lawn & Landscape from scratch. The company is run by Sheldon and his son full time with his wife and daughters filling in as needed. Customers consist of 50/50 commercial and residential. Sheldon is a licensed pesticide applicator and also has a Texas landscape irrigator’s license. Sheldon commented “We try to provide quality service with Golden Rule principles.” We agree, as noted by a picture brought to our attention of a property that he services through DENTCO that was named “Lawn of the Month” by the local gardening club of Uvalde. Brian Pogore would like to congratulate RJS Lawn Service Inc. located in Lancaster, NY for being his Landscape CP of the year. Randy Spears is the founder of RJS Lawn Services Inc., specializing in customer relations, landscaping and snow plow services. Randy Spears has been servicing WNY for the past 12 years and started working with DENTCO in 2009 with 1 site. He has grown with DENTCO over the years and is now up to 14 Landscaping Sites and 6 Snow Sites. Before devoting his work fulltime to RJS Lawn Services Inc., he served as a production leader at General Motors for 15 years. During Randy’s time at GM he decided to start a part-time landscape business on the side. He always took an interest in the outdoors as a child working and planting trees on his uncle’s land in Marilla New York. General Motors relocated to Mexico, jobs were lost but Randy was already ahead of the game. His client base was small in the beginning, but after the layoff he was able to dedicate his full attention and growth to the one thing he was passionate about. Randy attended Erie Community College for Landscape Design and Horticulture. He has been able to put his knowledge, experience and training into his growing company. Randy‘s true satisfaction is seeing the look in a customer’s face when a project is complete. His integrity and energizing personality is a true testament to his success today. When not hard at work, Randy loves to spend time with his family; his wife April and their two daughters, Lyla and Sienna Spears. Amy Calkin’s CP of the year is Silver Oak Landscaping, Inc. located in Ontario, CA. Silver Oak Landscaping, Inc. is a commercial landscape contractor who specializes in providing the highest quality of service for total landscaping and maintenance management with many years of combined experience and professionalism. They specialize in retail building and shopping centers. They have done numerous installations for Costco, Home Depot, Ralph’s, Vons’s, Staples, Kohl’s and Wal-Mart just to name a few. Silver Oak Landscaping, Inc. is an equal opportunity employer providing Performance and Excellence in Landscaping and Grounds Management. Their workforce is skilled, safety-conscious, and participates in on-going company-sponsored training programs. All of their employees are trained on various OSHA safety regulations as well as landscaping industry specific safety techniques and precautions to utilize while driving and working on client properties. Silver Oak Landscaping is committed to the safety of not just their employees, but they also strive to ensure the highest degree of safety for their customers. Brandon Fiebiger’s Landscaping CP of the year is Southern Landscapes from McAllen, TX. Southern Landscapes earned this award for always being timely with their responses to issues, paperwork, and job performance. This contractor has been in business since 1976 and with DENTCO for the past 4 years. They have also increased sites every year. Contractor currently services 62 sites in the southern Texas area for DENTCO! Performance – timely response to service and exceptional quality of service. Has a very tough market in Southern Texas and services a 110 mile radius. Communication- Responds very quickly with an answer and gets the job done when they say they will. Paperwork – SVT’s, contracts, and insurance always turned in on a timely manner. The only contact I usually have with this contractor is to give them more sites! Attitude- very courteous and great full for the opportunity to have the business. Lintons out of Elkhart IN is Josh Presley’s Land CP of the Year. Owner Mark Linton and General Manager Kirk Linton have a great staff several of them have been with the company for 10 years. Linton’s have been serving the community of Elkhart for 34 years and they have been with DENTCO since 2003. Linton’s started in 1982 and has grown with quality and excellence over the years. Today Linton’s maintains the feel of a small business by offering personal attention to their customer’s needs. In addition to their original landscape division, their company has matured to offer: Garden Centre, Floral and Gift Shoppe, Nursery and Landscape Maintenance. Linton’s has 10 landscaping sites with DENTCO that they service with excellence. They are great with paperwork. They are great with the customer . And that makes them a great partner for us. Thank you Lintons for partnering with us for so long. Senske Lawn and Tree Care is Michael Brennan’s Landscape CP of the year. Senske is located in Kennewick, WA. They are a regional lawn, tree and pest control company. Tony Senske attributes their success to their customers and employees. Senske was founded on strong, ethical values back in 1947, and operates with those same values today. Senske has been a contractor partner with DENTCO since 2005 and currently has 35 locations to maintain through DENTCO. 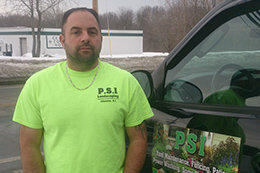 Tony Fisher, General Manager Landscape Maintenance for Senske Services, has earned the status of Certified Treecare Safety Professional (CTSP) from the Tree Care Industry Association. As a CTSP, Mr. Fisher coaches Senske employees in safe work practices with a focus on leadership, hazard identification, incident control and prevention along with adult education. Tony cites several other titles on his resume. He is Accredited Snow Contractor Association Certified, which keeps him and Senske up to date with best practices. Tony is also captain of his own ship, or more accurately, Captain and owner of Fisher’s Catch Outfitters with Merchant Mariner Credentials. In addition, Tony is studying to become an Arborist through the International Society of Arboriculture. Fitzpatrick Handyman Service is Melissa Zemer’s Landscape CP of the Year. Located in Nicholasville, KY; they have been in business since 2010. Kevin Fitzpatrick says, “We work hard, so you can do this”. Brandon Pinnow has chosen Ticer Lawn & Landscaping Services as his CP of the year. As a contractor partner with DENTCO for over 10 years, Ticer Lawn & Landscaping Services has always been a reliable contractor who can be trusted to take care of each and every site as if it’s their own property. The Ticer’s are a family owned business, out of Wylie, TX, who service the greater Dallas/Fort Worth area. Starting with only a mower and a truck, Ticer’s has grown their business to a company with over 30 employees. From paperwork to weed eating, Ticer’s take pride in what they do and consistently exceed expectations. Scott Poynter chose Elite Land Services Inc. from Apollo Beach, FL to be his CP of the year. 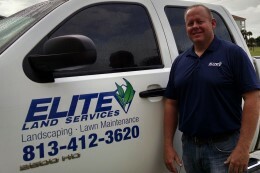 Elite Land Services started in 2006 with Brian Vowels. Brian’s goal was to provide clients with a superior service; having a previous work experience in sales and customer relations. Since their start, they have been able to continue their vision by growing their customer relationships with excellent employees. Elite currently service the West Central Florida areas of Hillsborough, Pinellas, Pasco and Manatee Counties. New Leaf Landscaping from Wallkill, NY is Scott Hoeflich’s CP of the year. New Leaf Landscaping was started in 2007 and is excited to have started our 9th year of quality lawn services and snow removal this past spring. Serving the Hudson Valley, New Leaf Landscaping is passionate about providing great lawn care services to our clients. We take pride in the way each property looks when we drive away. Tony Perri Landscaping Co, Inc.
Melissa Zemer, on behalf of Shan Youse has chosen Tony Perri Landscaping Co, Inc. as Land CP of the year. The company was started in 1985 by Tony & Vinnie Perri; they are prideful that they have remained a small family owned company that is focused on customer satisfaction. Tony Perri Landscaping Company has been a Contractor Partner with DENTCO since 2007 and has remained a go-to company in Eastern Massachusetts. The Company knows how to meet the needs and request of the Customer. In 2011 they started upselling Leaf Mold as part of their ongoing organic green program. The company is still growing and is always looking for new innovative ways to keep customers happy. They like being able to supply a variation of services, as they know no one customer is the same. You can find them servicing all of Eastern Massachusetts offering: Landscape Maintenance, Landscape Design, Construction Services, Irrigation Installation, Irrigation Maintenance, Turf Install, Fertilization and Snow Removal. This year, Kevin McMillan has decided to choose Prairie State Landscaping, Inc., for his Land CP of the Year. Prairie State has been with DENTCO since 2004, and has been in business for over 30 years. Their owner, Ted Diener had this to say “Our association with DENTCO has allowed us to survive and grow during hard economic times. We service the Chicago Metropolitan area, which is quite a challenge considering the size of the area. We specialize in the transformation from turf to specialty gardens, a growing need as the price of water increases and water usage is restricted. Our employees are motivated due to our incentive programs, and our customers are loyal due to our timely response, as they know we take their concerns seriously. Kevin spends literally no time chasing down information, dealing with inquiries, etc. He is often reaching out to Ted for help to cover another CP who has failed, sending him additional work through WO’s, or asking his opinion about competent CP’s in his area. Ted always goes above the norm to make his sites look amazing. He and his crew take ownership for each location, and understand the thumbprint that it will leave from DENTCO. Jeff’s Lawn Service and Snow Removal is Marty Bennett’s CP of the year. They have been servicing commercial and residential properties all across the state of Ohio for 17 years. They have been partners with DENTCO since 2001 and currently service 11 DENTCO sites in and around Columbus. Jeff gives all of the credit for their success to his 8 employees. Marty says that he can count on Jeff and his team to go the extra mile as demonstrated a few weeks back. DENTCO was notified by one of our customers that a store was having their grand opening the next day and the property needed all of the construction debris cleaned up before the store opened the next morning, mission impossible for most, not Jeff and his team. They had a crew on site by the crack of dawn and the store was clean and ready for their opening. Thanks Jeff and company for all that you do for us. Timely servicing as the CP serviced without any calls as he knew the spec for all customers. Quality servicing no sites called back for second services in any snow event. Paperwork is always on time. Communication is awesome and has no issues when asking for quick responses. Congratulations to Lawn Patrol Services, Inc., Snow CP of the Year 2015. MG Outdoor Services is Kim Delo, QSM, Snow CP of the year for Michigan. Andy has been in business since 1998. They now service over 350 properties. Keith joined the team in 2006 and has been his right hand man ever since. He became partner in 2012 and they plan to continue servicing their clients for years to come. Melissa Zemer , QSM awards Picture Perfect Lawn & Landscape, LLC for Snow CP of the Year. The 2014-2015 Snow Season brought upon us a few surprises in the state of Kentucky. With two large events hitting the state bringing in over 5 feet of snow, DENTCO was lucky to have a Contractor Partner in Picture Perfect Lawn & Landscape, LLC. Picture Perfect Lawn & Landscape is a locally owned and operated business based in Georgetown, KY. John Lewis the owner and Tim Tevis provide snow and landscape service to Georgetown, Scott County KY. Picture Perfect Lawn & Landscape provides high quality lawn care and snow removal services that provide a genuine benefit to their customers. Picture Perfect provides customer satisfaction through flexibility and reliability. They are an honest company that works by the idea that: We’re Not Satisfied, Until You’re Satisfied. Brian Pogore, QSM acknowledges Lafler’s Landscaping and Lawncare LLC as Snow CP of the Year. Lafler’s Landscaping and Lawncare LLC is a small family owned business that was started in 1995 when father (Terry) and daughter (Melissa) came up with the idea of mowing lawns for some extra money. By the third summer of mowing lawns our “business” started to become a real business. Lafler’s Landscaping and Lawncare became official with its own DBA. Along with mowing and landscaping, Lafler’s started snowplowing in 1998. This also started with residential homes in the Prattsburgh area. Within a couple of years this too expanded to commercial properties. About six years ago Lafler’s were given the opportunity to work for DENTCO. Lafler’s are subcontracted by DENTCO to maintain the property of M&T Bank in Prattsburgh NY. Year-round service is provided from mowing and lawn maintenance to the plowing and salting in the winter. In 2012 Lafler’s Landscaping and Lawncare established a LLC. They continue to be a family owned and operated business and continue to strive to provide the best service to all of their customers. Craig Benton , QSM, nominates Pro Landscape LLC as snow CP of the year. Owner, Bill McGee has 38 yrs of continuous service in the industry providing snow removal, lawn maintenance and landscape design for commercial properties. He says that his working relationship with Dentco servicing national contracts has taught him that how he performs at the local level no matter how large or small the site may be, has a huge impact on DENTCO. How each of us services our DENTCO sites has an effect on other CP’s and business retention. If we do not provide timely, quality service and submit our paperwork on time for invoicing it reduces the opportunity of expanding the number of sites in other cities and states. Bill has done an excellent job this season and we look forward to working with him in the future. Congratulations! Craig Benton, QSM, awards Joe Rebout’s Complete Lawn Care and Snow Removal LLC as Snow CP of the year. Joe Rebout is the owner of Joe Rebout’s Complete Lawn care and Snow Removal LLC, located in Janesville, Wisconsin. He started his business in 1998 at the age of 26 with one truck, a trailer, and a lawn mower. Today, his business has a fleet of trucks, skid loaders, tractors, and grounds equipment to perform a multitude of grounds and snow removal services. Joe was taught at an early age to be a good steward of the land and that value has carried on with him to this very day and is what he attributes to his continued success. In addition to his lawn care and snow removal business Joe is a life-long farmer and operates over 700 acres of wheat, soybeans, and corn. He started to learn how to operate equipment at the tender age of 7. He and his wife Erika, who is an accountant, manage the business operations and are also raising 4 small children, which include 4-month old twin boys! Joe loves spending time with his family and watching the Green Bay Packers and Wisconsin Badgers basketball and football teams! It’s safe to say they keep plenty busy!! Max Largent, QSM, acknowledges Sno-Mow Services for CP of the year. Josh Burton has been a valuable asset to DENTCO with a very aggressive and proactive approach to handling work orders and being prepared before every snow event. Established in 1987 Josh has been in the Landscape industry for 28 years and a valuable CP for DENTCOo for 3 years. His great communication and timely response to any tasks that come up have made this snow season a very smooth one in his area. Josh services 9 snow contracts in the MN market and 24 landscaping sites for DENTCO. Congratulations! Green Foot Landscaping LLC is QSM – Kim Delos’ choice for Snow CP of the year. 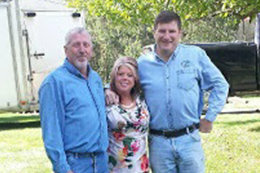 They are located in Middle Tennessee and have been in business for over 15 years. Founded by Randy Polster in 2000 they have grown from a one man show to managing properties all over Middle Tennessee today. They take price in working with home owners and management companies like DENTCO to make their surroundings a little better. Green Foot Landscaping LLC services 7 Snow removal contracts and 9 Landscaping contracts and does a fine job in servicing the customer. Kim looks forward to growing his relationship with Green Foot in the future. Congratulations! Mohlers Lawn Care LLC is being acknowledged as CP of the Year for their exceptional service by Marty Bennett, QSM for the Oh region. Mike started his business 17 years ago in central Ohio. He now has a staff of five employees for the winter and ten for the landscape season. This was Mike’s third winter with us and serviced 12 sites this season. One of Mike’s keys to success is he keeps his routes very tight so that no site is more than 15 to 30 minutes away. Marty can count on Mike’s text message at 4:30 AM advising of snow conditions and service updates for the east side of Columbus. Marty is looking forward to working with Mike in the future. Shelly Billings, QSM awards Don Connors with MJC Landscaping as Snow CP of the year. Don started his company in 1999 in Wilmerding, PA as a residential lawn service company. In 2005, he transitioned full time into providing commercial lawn and snow removal services. MJC teamed up with DENTCO in 2009 and has been a great partner along the way. Don and the MJC group pride themselves on detailed communication, exceeding customer expectations and timely submitting their paperwork. They are proactive in reporting weather conditions and ensuring their customers get the level of services they expect. MJC Landscaping continues to grow its portfolio with DENTCO and currently services 7 snow contracts and 5 Landscaping contracts. 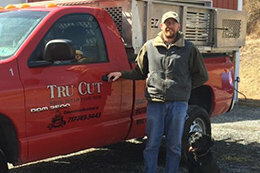 Josh Edmondson, QSM is please to announce Tru Cut lawn & Landscape LLC as Snow CP of the Year. They are a full service landscape company out of South Central PA and has been with DENTCO since 2009. Their proactive approach to snow removal is what sets them apart from the rest. Josh receives constant updates from Tru Cut before, during, and after a snow event which makes them a pleasure to work with. Congratulations! Megan Bryers Quality Service Coordinator (QSC), chose Krueger Landscaping Inc., located in Rolling Meadows, IL as snow CP of the year. The company was started in 1951 by William F. Krueger and is now owned by his son, Kent. They pride themselves on their reliability and dependability; knowing that their foreman Kenneth Vigna and Dennis Jaime play a crucial role in the success of their business. Krueger has been there for DENTCO anytime we call with an emergency and are timely, efficient, and friendly. They do fabulous work. They currently service 12 sites for 6 different customers in the Outer Chicago area where traffic can be rough, yet were always able to service each customer to specification and ensure customer satisfaction. Congratulations! Megan Bryers Quality Service Coordinator (QSC) awards Oasis Lawn Care and Landscaping for Snow CP of the Year. They were established in Northwest Arkansas in 2009 and currently have the largest portfolio in Arkansas for DENTCO. 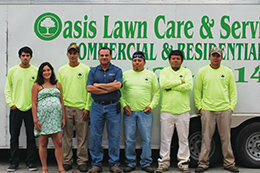 Oasis is family owned and operated by Jorge Osejo and his daughter. They always answer when Megan calls with a smile and great attitude. They meet all business requirements for our customers which includes superb quality of service and paperwork. Building long term- relationships with their customers and ensuring our customer DENTCO is provided with exceptional service contributes to their success. We wish Oasis Lawn Care and Landscaping a successful 2015. Bridge Landscaping LLC was chosen by Amy Calkins Quality Service Coordinator (QSC) as Snow CP of the Year. They are located in Kokomo, IN. Bridge started out with one truck and two employees in 2009. They were later able to expand as they were offered their first commercial property through DENTCO! Six years later they have a small fleet and maintain a large number of properties. Amy agrees that Bridge Landscaping goes above and beyond with their customers, making sure they are satisfied and serviced within spec. This past snow season they have done whatever it takes to make sure their customers are satisfied. Bridge Landscaping LLC knows what it takes to ensure customer satisfaction and promote business retention through excellent service. 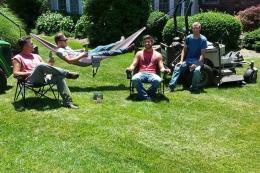 Rockhill Lawn Care is a family owned and operated lawn care and landscaping business based in Anderson, IN. They have been nominated as Snow CP of the Year by Amy Calkins. Driven to provide professional services with a personal touch, Rockhill understands that they must treat every property as their own. Rockhill Lawn Care met the challenge this year and transitioned in new business at a moment’s notice to ensure the customer needs were met. We appreciate their professional and timely response to phone calls at all hours without fail, submitting their paperwork while servicing 14 sites without deficiencies. Rockhill Lawn Care goes above and beyond to provide quality service to our customers and we look forward to working with them in the future. Congratulations! Scott Hoeflich- East Coast QSM, is proud to award Marc Cotoia and his family the Snow CP of the Year title for 2015. PSI was established in 2001 and started out as a part time power washing company and has grown over the years offering additional services to their commercial and residential clients. Services include snow plowing, lawn maintenance, tree maintenance, power washing , etc. PSI has worked with DENTCO since 2013 providing these services to 9 snow sites, 3 land and 3 sweeping sites and doing a great job. As Marc says “Winter , we love it!” He has trucks out on the road taking care of business and most are operated by family or employees that are considered family. We are happy to have PSI as part of our DENTCO family and provide exceptional service resulting in customer retention. Awesome job Marc and family, thank you all. Lou’s Landscaping & Design, Inc.
Megan Bryers, Quality Service Coordinator (QSC), has awarded Lou’s Landscaping & Design, Inc., for Snow CP of the year. They are located in Wayne, NJ and were established in 1999 by Lou Avolio. They currently service 9 properties for DENTCO that require constant attention due to the nature of their specifications. Lou always answers the phone when Megan calls and never questions a request. He understands expectations and needs for the customer. Service is always timely and performed to a high standard. Thank you for your hard work this season! Doug Schafer Lawn & Snow from Lansing, Michigan, is named Landscape CP of the Year 2014 by Kim Delo (QSC). Doug has been in the green industry for 20 plus years, nine of which he has been self-employed. He says that he enjoys working with DENTCO and feels we share the same values in regards to maintaining customer service as a top priority. We would like to thank Doug for his tremendous work and look forward to a long future with his company. Congratulations! Landscape PA LLC is Josh Edmondson’s Landscape CP of the Year. Landscape PA has been a recognized and growing leader in landscape maintenance and design in the Greater Harrisburg area since 2003, and a DENTCO CP since the spring of 2008. They are always willing to help out on a project, as well as consistently providing service, over and above the contract level. Congratulations! 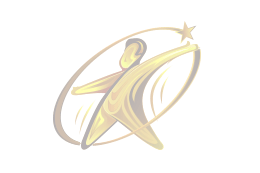 Seasonal Property Management Corp. located in Minneapolis, Minnesota, is Tim Brown’s CP of the Year because they are good on paperwork, great with resolving customer issues and rarely have inquiries. The company, owned and operated by Dean Clossey and Dema Wakulenko, has been a Contractor Partner with DENTCO since late 2009. SPM Corp. started by servicing a few Starbucks and has since grown their portfolio with DENTCO to 13 locations in and around the Twin Cities area. SPM Corp. never uses sub-contractors to complete their services and believes that this is paramount to their success in the service industry. As the account executive, Dean credits the excellent communication between QSC Tim Brown and Operations Manager Dema for their ability to provide superior service to their DENTCO accounts. Their office manager, Mandy Johnson is also vital in keeping all of the contracts, SVTs and WOs organized and complete. “Without Mandy being in constant contact with QSC Tim Brown regarding all paperwork issues, we would be lost” says Dean. Congratulations SPM Corp! Silver Oak Landscaping, Inc. of Ontario, Canada, has been a Contractor Partner with DENTCO since the fall of 2006 and has continued to grow their portfolio with superb customer service and commitment to excellence. Silver Oak Landscaping and its crews have a “whatever it takes” attitude and consistently go above and beyond for our customers. QSC Shelly Billings knows that when the tough stuff needs to be done, Silver Oak is the company for the job. They have developed a system allowing them to consistently submit all contracted paperwork on time for their 36 landscaping sites, resulting in payment on time. They are the complete package! S & S Sweeping Service is family owned and operated out of Paris in rural West Tennessee. The company was started by Robert Stubblefield as a “Parking Lot Sweeping Service,” with a commitment to “Quality and Dependability.” S & S Sweeping currently services seven landscaping sites and one sweeping for DENTCO. Kim Delo is proud to announce S & S for Landscape CP of the Year 2014 and recognize them for their hard work. Kim looks forward to a long relationship with their company. Great job this year! Oasis Lawn Care from Siloam Springs, Arkansas, has been selected by Megan Bryers (QSC) as Landscape CP of the Year 2014. Jorge and his crew have done an outstanding job this season on their 10 landscaping sites with DENTCO. Their response time to site issues and work orders was almost immediate. They worked together to meet ETA’s, turn in all signed SVT’s, invoices, and contracts on time. Most of all, Jorge was able to help out on a large project with only a half-day notice. His determination and amazing family/crew members made it all possible. Our customer thanked us highly, and in return we thank Oasis Lawn Care for all of their hard work by naming them CP of the Year. Congratulations! Fingerlakes Landscape & Design LLC is Jeremiah Zitz ‘s Landscape CP of the Year. Fred Squires and his team have shown a dedication to our customers and have provided exceptional service on each of their sites. In addition to their exemplary landscaping service they are also diligent about turning in their paperwork in a timely fashion. “FingerLakes Landscape & Design continues to be a valuable asset to DENTCO and our customers and I look forward to a continued positive working relationship.” Great job this year! MIR Enterprises of Cypress, Texas, is Craig Benton’s Landscape CP of the Year. They currently service 23 sites for DENTCO in the Houston, Texas area. “One call does it all” is the motto at M.I.R. Enterprises. MIR is an acronym for “maintaining it right.” They are a family owned full service building maintenance company. Craig looks forward to a continued relationship with Manager Jeremy Gilchrist. Congratulations! 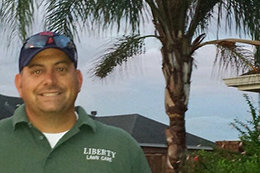 Liberty Lawn Care, LLC out of Corpus Christi, Texas, is a full service Lawn & Landscape company. They are family owned and have been in business for seven years managing 71 of DENTCO’s landscaping sites. Liberty has a well-staffed team that is dedicated to providing our customers with quality service. Craig Benton is pleased to work with Toby and his crew to meet all our customer needs. Congratulations! Services by Enrique Cruz is recognized by Scott as Landscape CP of the Year because he has done an excellent job of maintaining his sites, completing work orders in a timely fashion and staying on top of his paperwork. Enrique services sites in the Orlando and Miami markets and the east coast of Florida. Enrique is married with 4 children and lives in Deltona, Florida. Enrique has been in the landscaping business most of his life. He grew up on a five-acre farm and got his first taste in landscaping when he helped maintain the landscaping at a local church when he was just 8 years old. He started his own landscaping company 14 years ago cutting grass for residential clients. Three years later he signed on with DENTCO. Enrique and Scott got to know each other eight years ago in 2006 and immediately hit it off. He has always been someone that Scott can count on to get a job done. Great Job! Southern Landscapes is recognized by Melissa Zemer as her Landscape CP of the Year. Southern Landscapes not only meets DENTCO’s requests and needs, they also meet that of the customer, which is the most important aspect of the relationship. They are a superior company with a superior staff. Southern Landscapes, a division of Valley Garden Center, has been providing professional landscape services for over 32 years. Southern holds a large portfolio of maintenance contracts with DENTCO in southern Texas. Their timely service, quality of work and professionalism are commendable in all areas. Southern Landscapes operates as a team, which allows the quality of service to shine through. Melissa says, “My job is made easier by working with them. But the most important thing is that the customer – both on site and at the corporate-level are always happy with the service that they are receiving.” Congratulations! Turfmaster Lawn Maintenance Inc. from Indianapolis, Indiana, is Amy Calkins’ (QSC) choice for Landscape CP of the Year for her IN territory. David Clifford and his team have not only maintained their sites to specification and submitted their paperwork in a timely manner, but have also helped out tremendously this summer with last minute requests. Turfmaster Lawn Maintenance Inc. services 11 sites for DENTCO and will continue to grow with us as we grow; they know what it takes to manage their business and meet customer needs. Congratulations! Element Maintenance and Landscape is being acknowledged by Amy Calkins (QSC) as Landscape CP of the Year 2014. Element Maintenance and Landscape Inc. of Queen Creek, Arizona, was started by Jared and Heather Gray over 14 years ago. Jared has been amazing with timely estimates, as well as sending pictures and pricing for proactive work orders. He always goes above and beyond when it comes to servicing his 29 landscaping sites. They have been working for DENTCO for over 4 years. Through the years, we have worked for many Management companies. “Amy Calkins and the DENTCO team are by far the best National Exterior management company we have ever worked for. They know exterior management, period! We hope to continue to work side by side with the DENTCO team for years to come.” Congratulations! Ticer Lawn Care Services located in Allen, Texas, is Javier Arroyo’s choice for his Landscape CP of the Year. Bill and Carole have gone above and beyond for DENTCO the past few months and have been awarded many more sites for the great work they have completed. They currently service 66 landscape contracts and 23 snow contracts in the state of Texas. Ticer has been in business for 23 years. Javier looks forward to many more years to come. Congratulations!